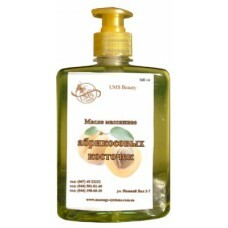 Massage oil apricot kernels, 500 ml, buy at 10 . Massage oil allows the massage procedure with a pleasant effect for the professional and with a therapeutic effect for the customer. This is achieved by the presence of vegetable fats in the oil: oleic, linoleic, palmitic from 32% to 66%, which form a comfort membrane on the skin, preventing its damage when exposed by masseur s fingers. These vegetable oils have low viscosity and minimum acidity. There are also the emulsion and lactose, magnesium and potassium salts, vitamins A, B and C as well as vitamin F, which is a "beauty vitamin", phospholipids, tocopherols. 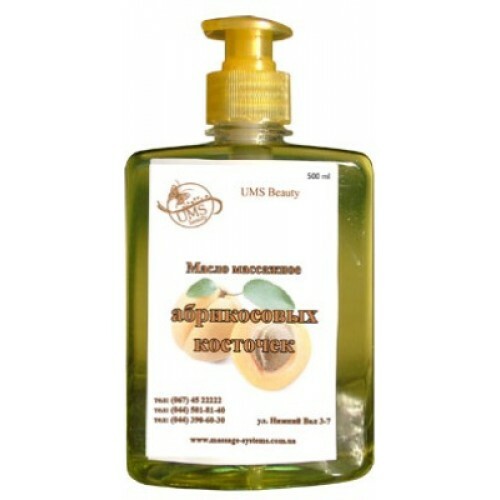 Using during massage such massage oils like apricot kernels oil 500 ml, the skin is saturated with microelements, easily moistened, exfoliation of the horny epidermis occurs.